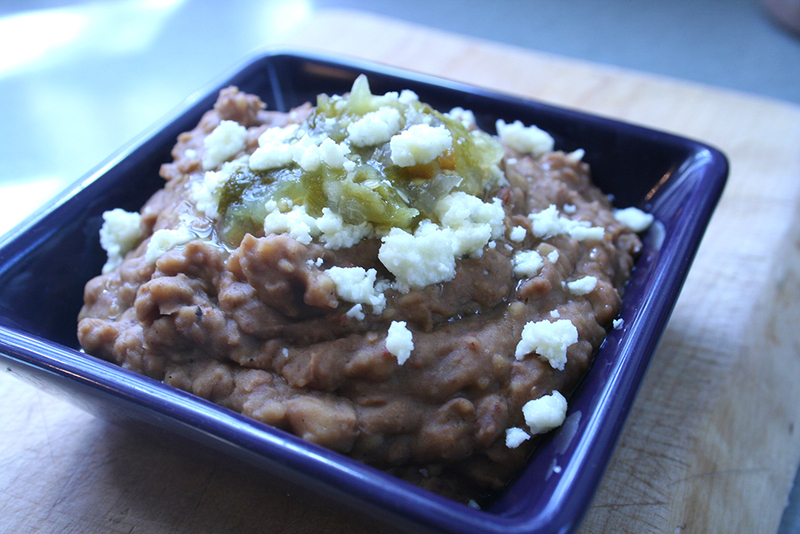 There is a profound difference between refried beans from a can and making them from scratch. It takes time, but it’s not difficult. 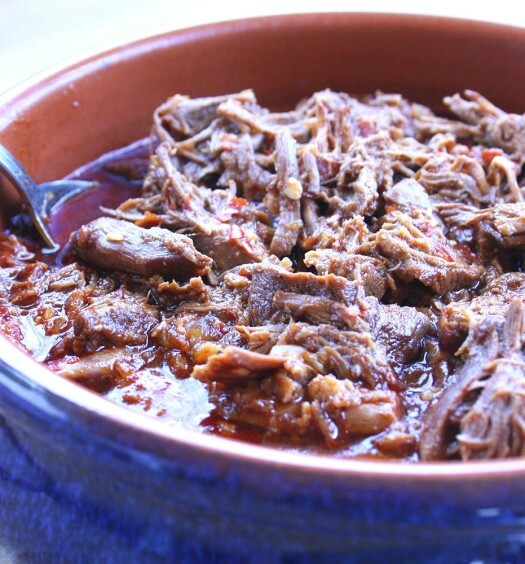 We use them in bean and cheese burritos, as a spread on tortas, or just as a side. We’ve tried many recipes over the years. 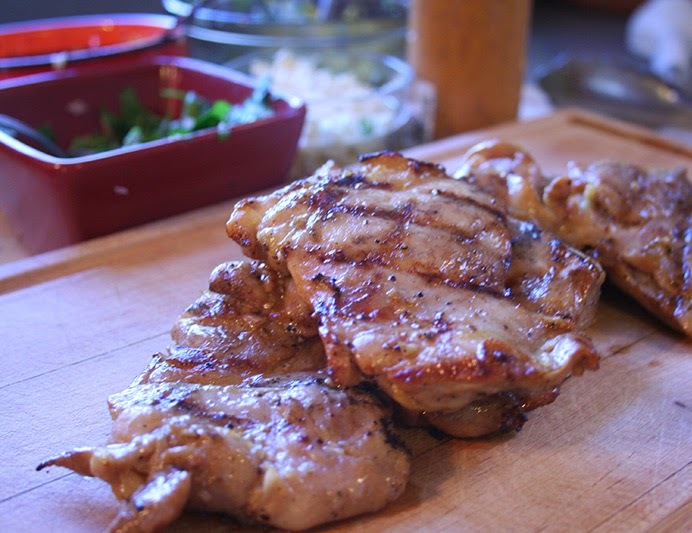 You can get by with less ingredients than we use, but I like the complex flavor of this recipe. Beans can be boring otherwise. We cook these in a bean pot we got from mexgrocer.com. You can use any large pot. 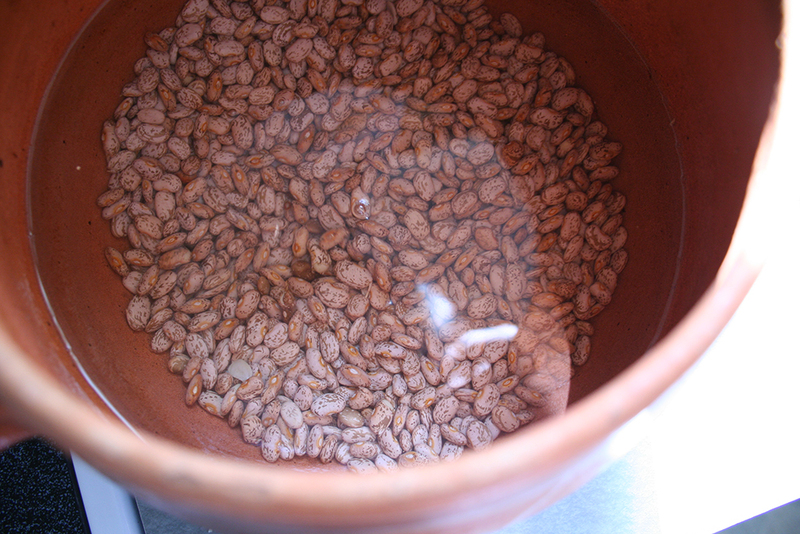 Pour the dried beans into the pot and look through for any small bits of rock or dirt. I’ll occasionally find a few here or there. Add the water to the pot and put over high heat. Begin to render the bacon in a small pan. 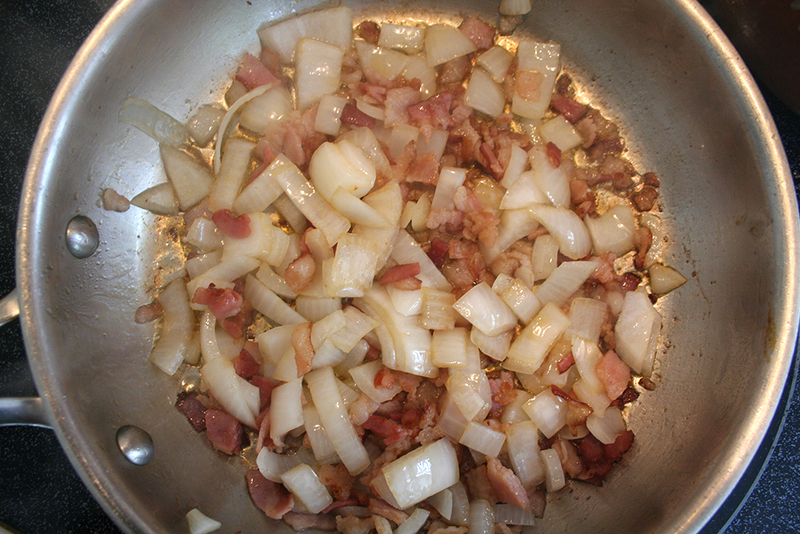 Once it begins to brown, add the onions and cook on med-low for about 5 minutes. In the meantime, add all other ingredients to the bean pot. Except the salt. Add that in the last hour of cooking. 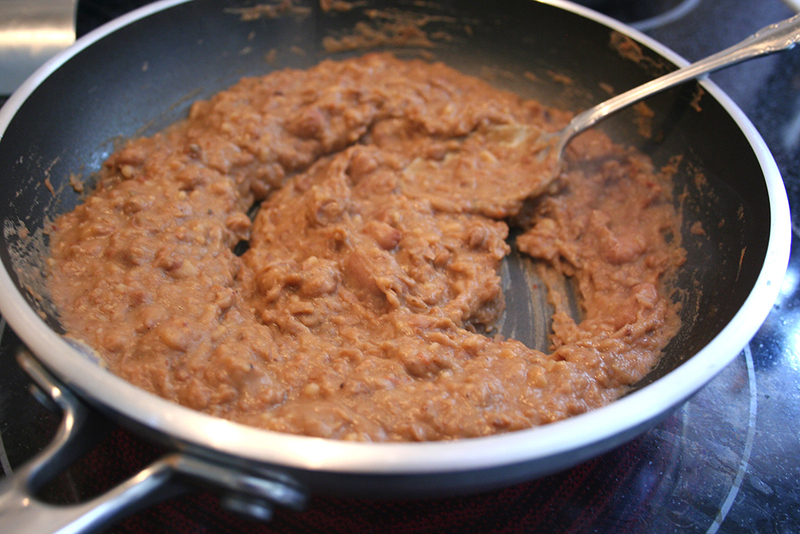 You can eat the beans as is, or you can blend/mash them to make refried beans. 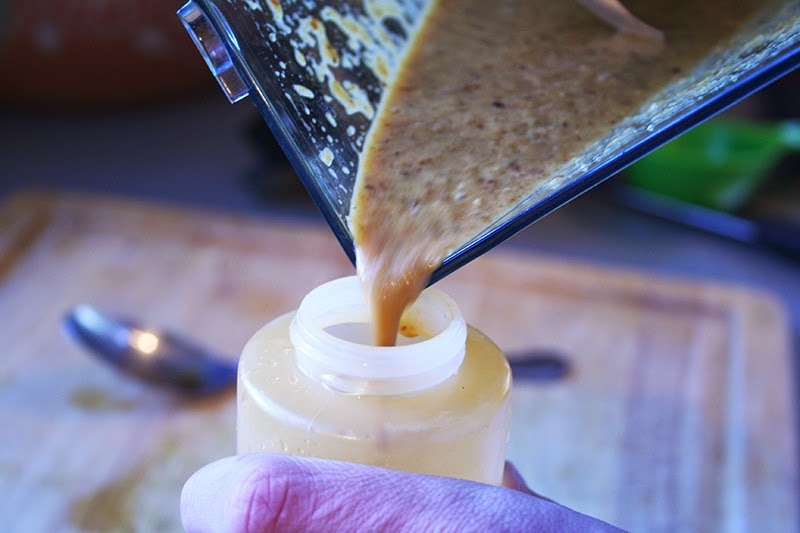 Using a blender in batches, blend everything to a soupy paste. In a large frying pan, heat a tablespoon or two of olive oil over medium heat. 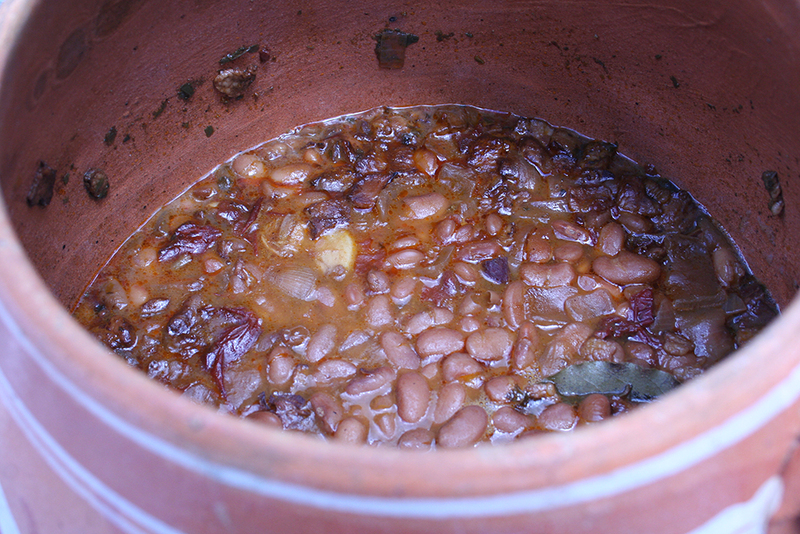 Add the beans and cook stirring often for 10-15 minutes. Add more salt and pepper to taste.